Good news for all the Olly Murs fans because the British singer will be back on the road in the spring of 2015 in which Murs will also perform in Oslo. Olly Murs is an English singer, songwriter and musician who got known after finishing the sixth series of X-Factor in 2009. Olly Murs debut album was Please Don’t Let Me Go which was the first number one hit for the singer. Murs released his latest album Wrapped Up last year in the middle of November. So Olly Murs will be back with a smaller European tour in the spring of 2015 in which he will give plenty of concerts in Europe. The first concert of the tour will be held in Manchester on the 22nd April 2015. 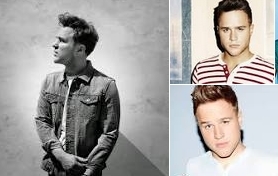 The Olly Murs concert in Oslo will be on Thursday on the 21st May 2015 at the Sentrum Scene and on the following day on Friday on the 22nd May 2015 Murs will be on stage in Stockholm. Tickets for the concerts are already available.